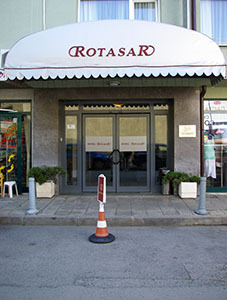 Hotel Rotasar offers a unique combination of style and comfort that come with an excellent location in the heart of Sofia. Built in 1988, Rotasar is situated in a pleasant and quiet residential area, close to all major highways and minutes away from downtown and the Sofia International Airport. The surroundings offer great shopping, dining and partying opportunities while at-the-door access to the Sofia public transportation system is available. In addition, in Rotasar’s proximity our guests can find a number of different banks and travel agencies. Our stylishly furnished and spacious rooms are clean and quiet, standardly equipped with full air control, cable TV with over 80 channels in different languages, high speed Internet access, direct-dial telephone, minibar and modern bathrooms. At the additional charge of only €3.5 we offer Continental breakfast, served at the RotasaR Restaurant. Part of everyone's pleasant experience at the RotasaR is because of our friendly and helpful staff. Whether you are looking for some help in getting around the city, might want to order a cab or a wake-up call, the RotasaR team will be right there for you to provide assistance and advice. Furthermore, our technical staff will immediately fix any problem that may disrupt your stay at the RotasaR, 24/7 guaranteed. Besides Bulgarian, our staff speaks English, German, French, Spanish, Italian and Russian. People from all nationalities and backgrounds have visited our hotel – families, couples, businessmen, diplomats, as well as tourists. What they all have in common is the satisfaction they have derived from their stay and the excellent service they have received at a very affordable price. RotasaR is the ideal place for businessmen seeking affordable comfort, families looking for a quiet place to stay, travellers and sightseers and anyone who is in need of excellent accommodation, comfortability and convinient location at a reasonable price. This is why we have many friends who return to the RotasaR again and again, building a loyal and satisfied customer network around the globe. They all share our principle - "Once RotasaR - Always RotasaR!" Be our guest and experience RotasaR yourself! 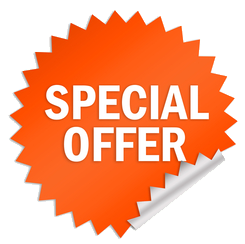 ﻿Our special offers are comming soon!